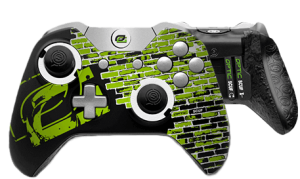 With dozens of accolades to their name, OpTic Gaming is a titan in the world of competitive gaming. 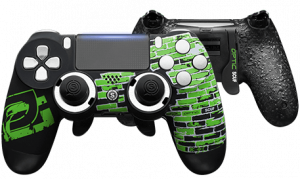 Boasting some of the most memorable moments in eSports history, and the names of many of the greatest Pro Gamers, OpTic Gaming is the benchmark of esports. 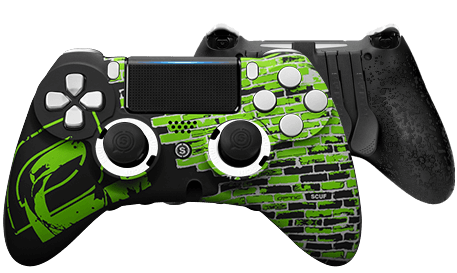 These custom PS4 and Xbox controllers feature the iconography of OpTic Gaming in an electrifying new design. In addition to the paddles, hair triggers, and top grade thumbsticks that make a SCUF a SCUF, the new OpTic Green Wall SCUF Infinity Series controllers are awash in graffiti sprays of white, black, and OpTic Gaming green.